There’s something so magical about Old Hollywood. The vintage glamour, the romance, and of course, the Hollywood royalty. What you might not know is that Wayfarers Chapel was built for stardom. 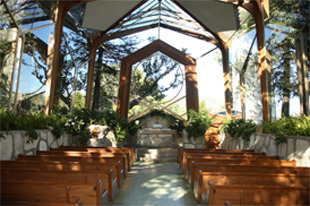 Architect Lloyd Wright not only designed the glass chapel, but also designed the famous Hollywood Bowl. It’s even been the site of several celebrity weddings: actress Jayne Mansfield, Gary Burghoff (M*A*S*H), Dennis Hopper (Easy Rider) and Brian Wilson (Beach Boys), to name a few. Movie and television shows have also been shot here, from The O.C. to True Detective. Just like these stars got the celebrity treatment, you can too! 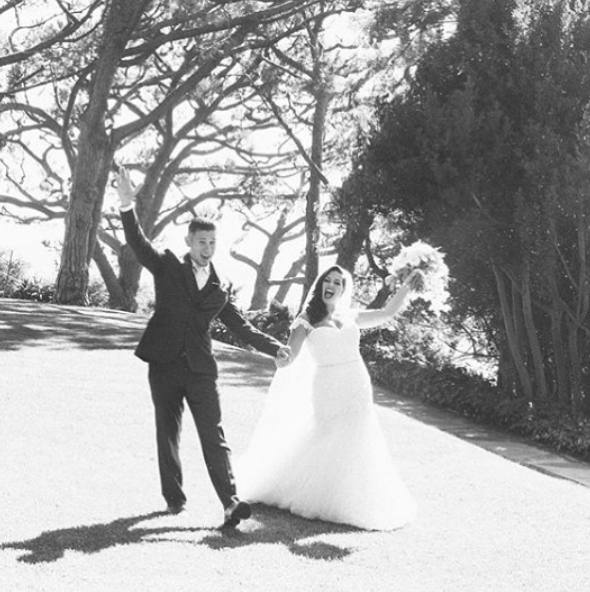 Have the romantic, Hollywood-inspired wedding of your dreams! Trust us – Gatsby would love this place. Wayfarers Chapel is a blend of nostalgic beauty and modern details that has major star quality. 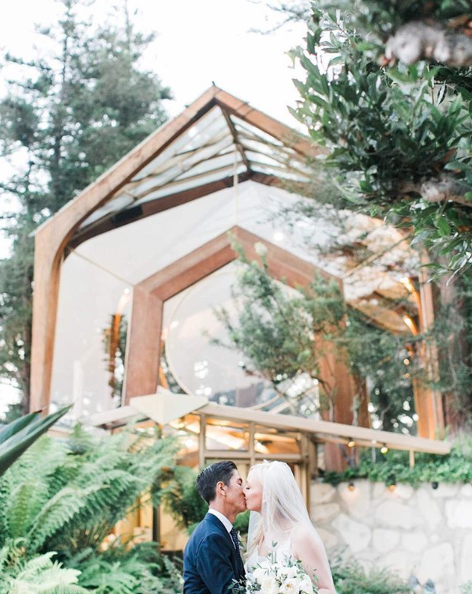 The glass chapel is a creative alternative to the standard weddings you see nowadays. As Coco Chanel once said: don’t be like the rest of them, darling! An off-the-shoulder tulle, sparkly wedding gown nails the glamorous era without being too dated. 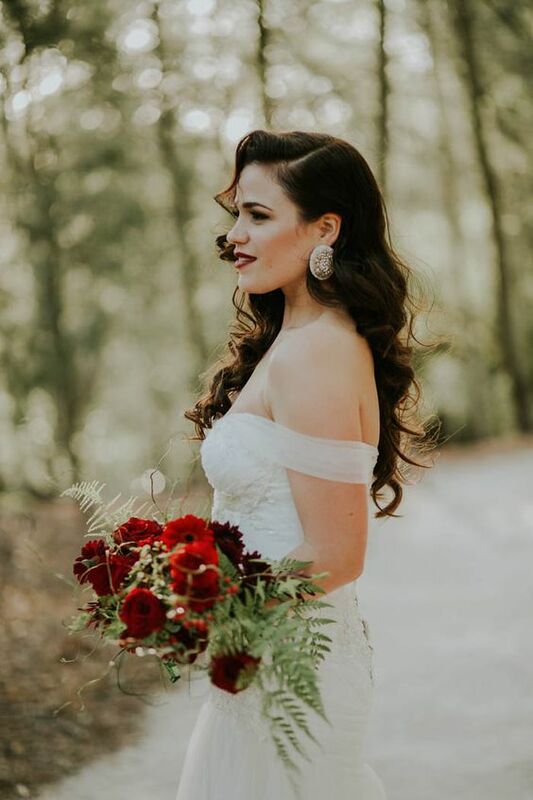 Oversized antique studs and a Marilyn-Monroe red lip perfectly complete the look. 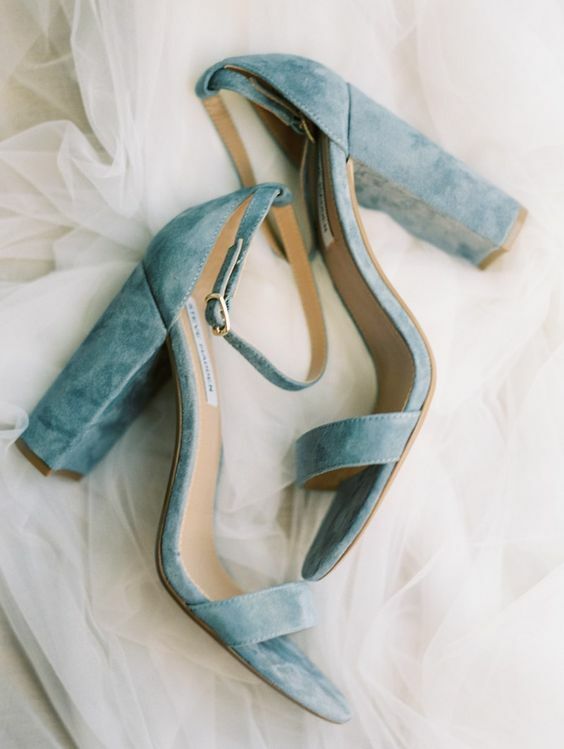 Ever considered your ‘something blue’ to be your shoes? We love these velvet heels that give a nod to the style of the 1930s. Incorporate satin, velvet and rhinestone accents into your wedding ensemble and decor to emulate the golden era glam! 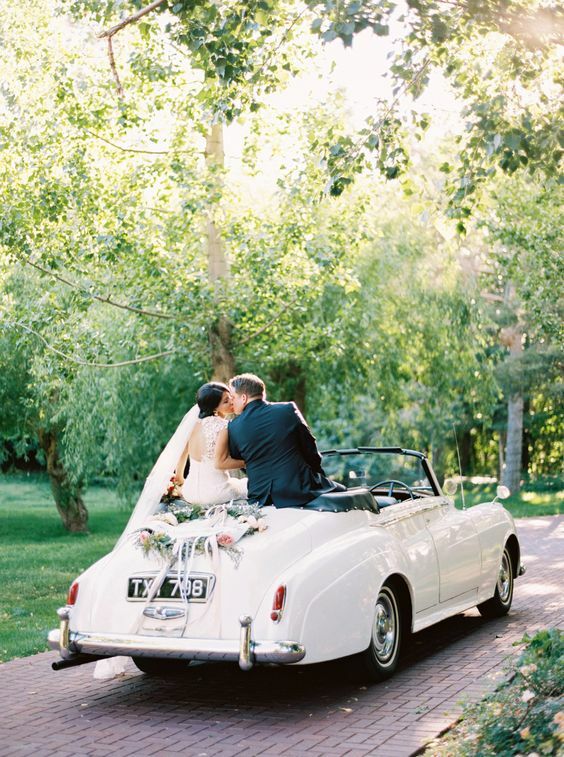 Keep it classic with the getaway car: any old-fashioned automobile will do! You’ll feel like a runaway film star straight from the silver screen. Exclusive Hollywood party or your wedding day? Your guests won’t even know the difference! Stay true to the golden era theme with classic cocktail hour sips: French 75, Manhattan, Whiskey Sour, and Vesper Martini are just a few to inspire you! Which glamorous wedding detail has you feeling like a star?